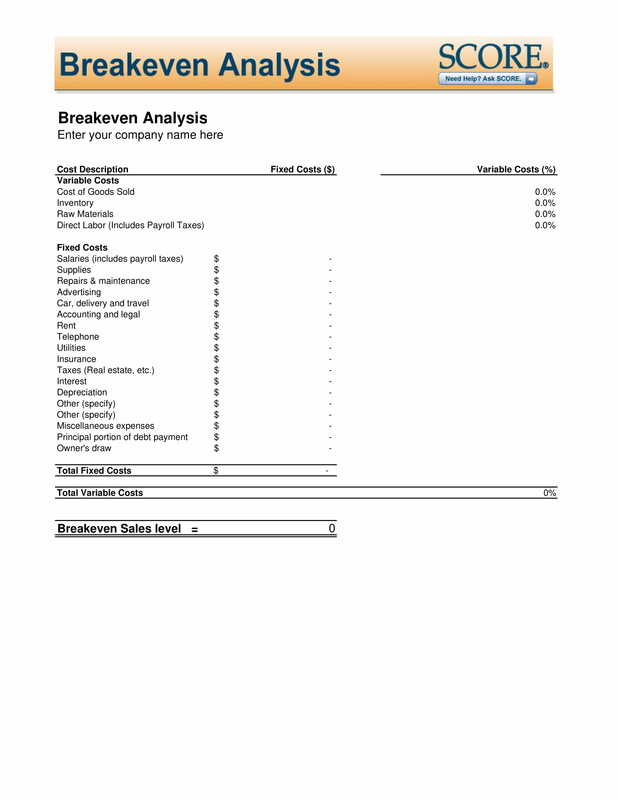 In order for the company to pass the break-even point, the dollar value of sales is higher than the variable cost per unit. Simply stated, the selling price of an item must be higher than what the company has paid for it or its components and more than enough to cover the initial price they paid. To start, you must understand that sales (S) less costs or expenses (C) equals profit (P). 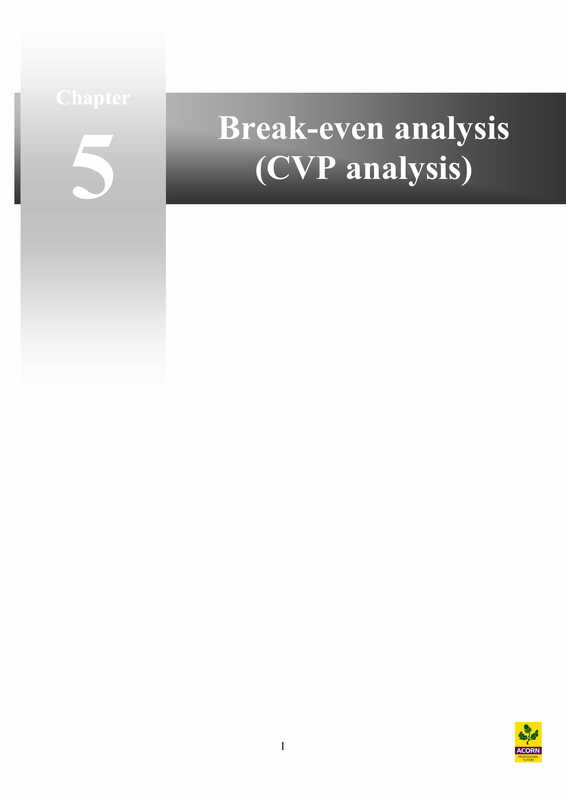 Note that C can be broken down into fixed costs (FC) and variable costs (VC). In order to break even, your profit must be equal to 0. Hence, S−FC−VC=0. 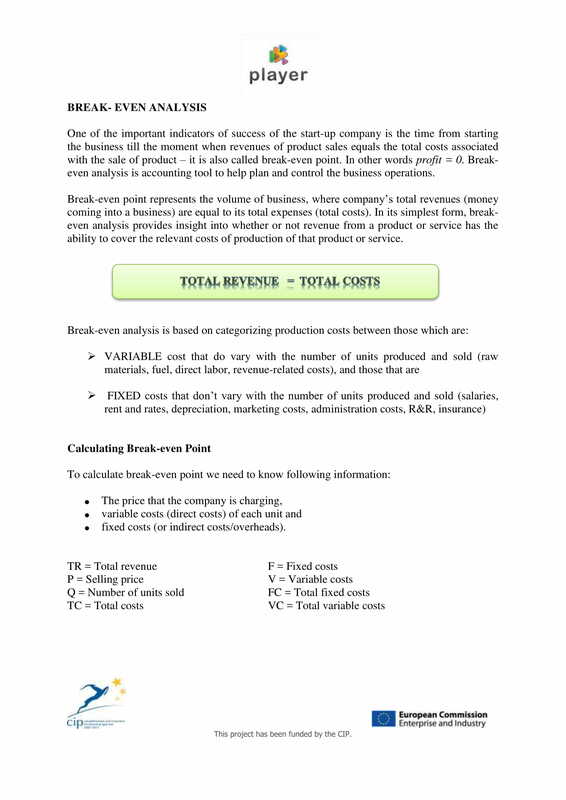 In order to calculate for the break-even point (BEP) in units (u), you must divide the total fixed costs of production by the sales price (S) per unit less the variable costs to produce the product. 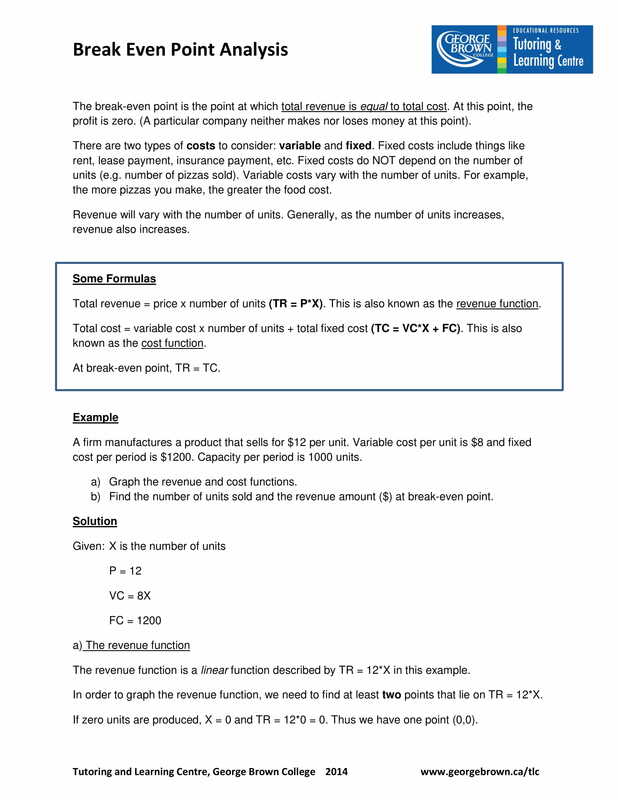 In the above section, it presents the calculation of the break-even point in units. On the other hand, if you want to calculate for the break-even point in dollars (d), simply multiply the sales price (SP) per unit by the BEPu. After knowing the above equation, let us take a step further and compute for the number of units to be sold to achieve a certain level of profitability. To compute, we must divide the goal amount of profit (G) in dollars by the contribution margin per unit. Then, add back the BEPu. 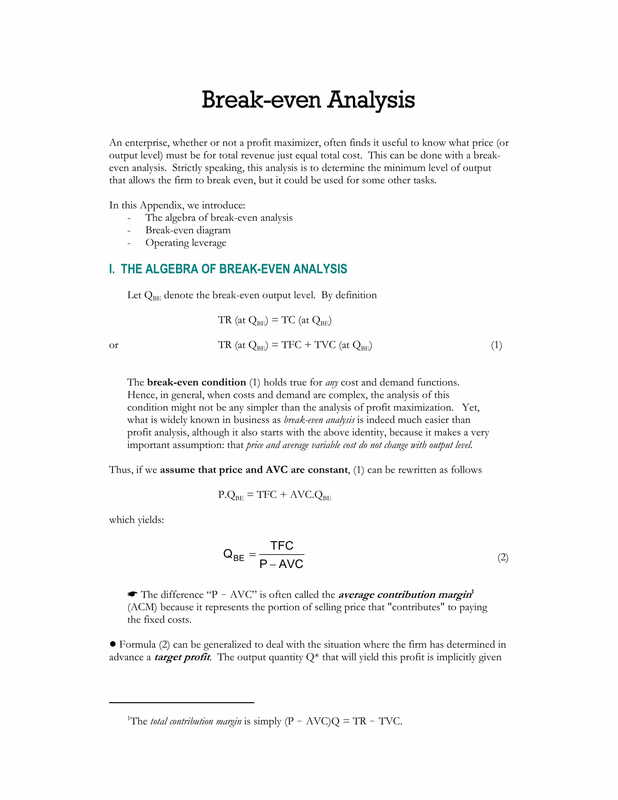 Applying these basic information that you gathered to the formulas presented above, it is now a lot more easy for you to start your break-even point analysis. 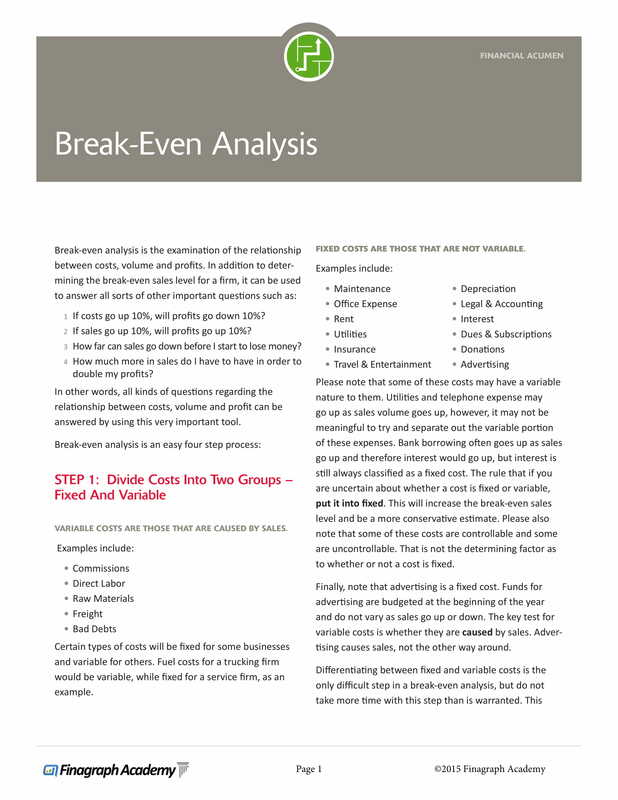 Break-even analysis has proven to be useful by many people in different industries in different ways. More and more people are adopting this concept as this can greatly help them improve their business just as presented in the previous section. 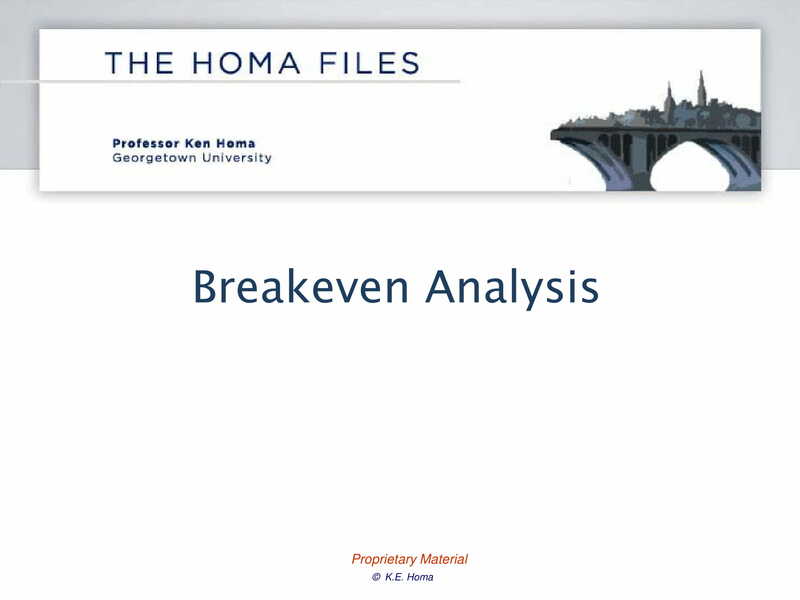 On a positive note, break-even analysis are still recommended and used by professionals because although it has limitations, it can still be a functional and practical approach. 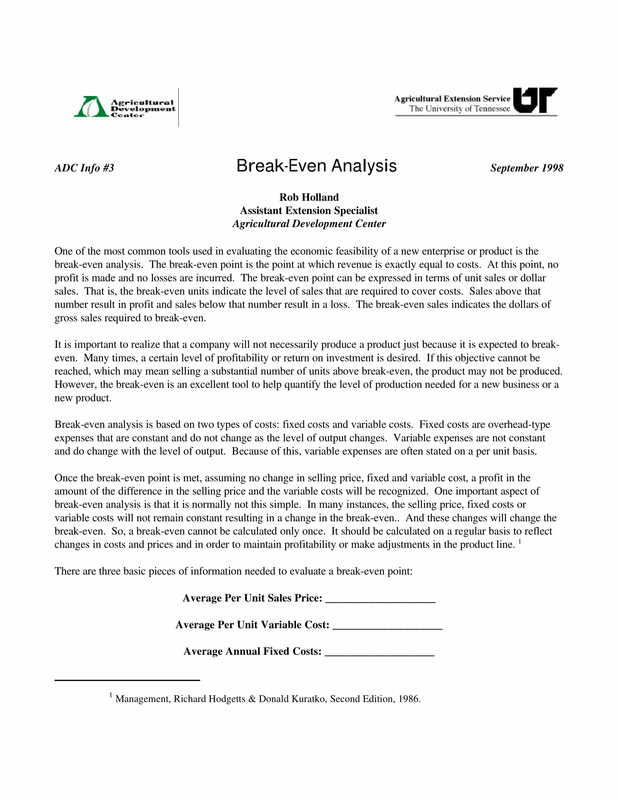 Below are the basic assumptions as well as the limitations in the use of break-even analysis. The first assumption is that all costs can be categorized as fixed or variable costs. Total fixed costs remain the same for all output levels. Total variable costs vary proportionately with output level. Hence, the variable cost per unit will not change. Sale price per unit remains the same for each output level. Costs and revenue act in a linear manner within a relevant range. Other than sales volume, no other factor can affect costs and sales revenue. It is also assumed that the analysis relates to businesses producing one product only or a constant product mix. The technology, production methods, and efficiency remain the same, consistently working in a good condition and producing same quality output. Inventory levels are also expected to remain constant. 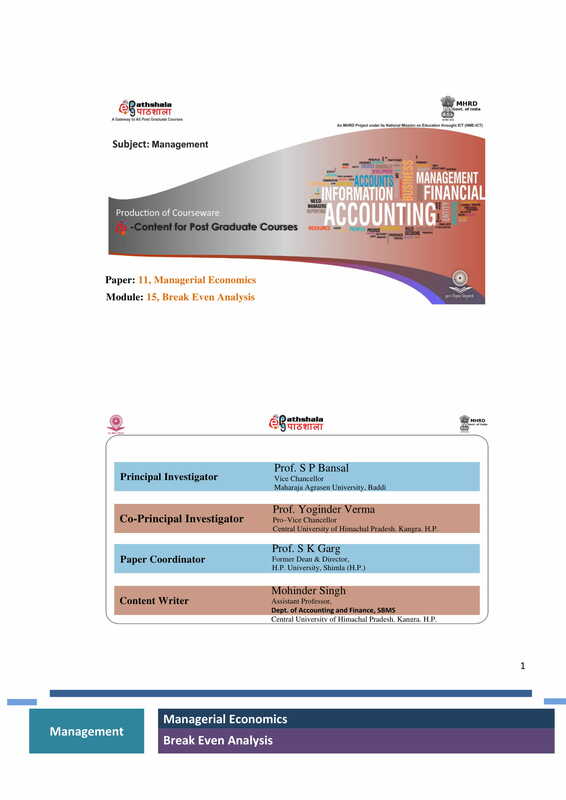 Lastly, it has also to be assumed that there are no inventories at beginning or at end of the accounting period. Because only the variable and fixed costs are considered, semi-variable costs, which is also a kind of cost that usually exists in every business, are ignored and are taken into account. Fixed costs may vary if output increases or decreases substantially. There might be changes in per unit variable costs when you consider various reasons such as bulk buying discounts, overtime, among others. These costs are being ignored when computing for the break-even point. It might also be possible that the sales price may have to be reduced to have more sales or may be increased to cover increased costs. Selling prices and variable costs per unit may differ at different output levels. This computation does not also consider various inflation rate and other external factors in economic state that may also affect sales volume. There might be changes in the practice for the technology or even the production methods. When there are changes in technology or production method, there might also be the possibility of any increase in inventory levels, when production volume exceeds sales volume, or de-stocking, when sales volume exceeds the production levels. 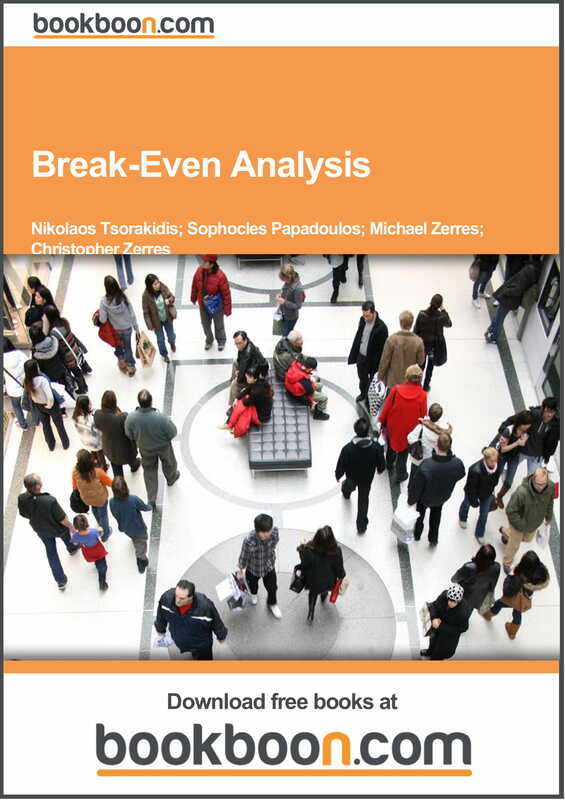 Never miss this opportunity to check out the examples of break-even analysis as presented in the above section.